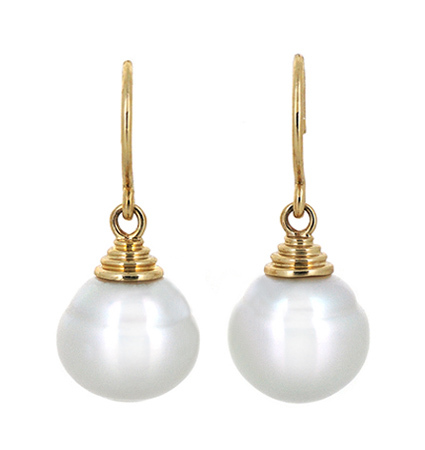 A pair of 9K yellow gold South Sea pearl earrings. 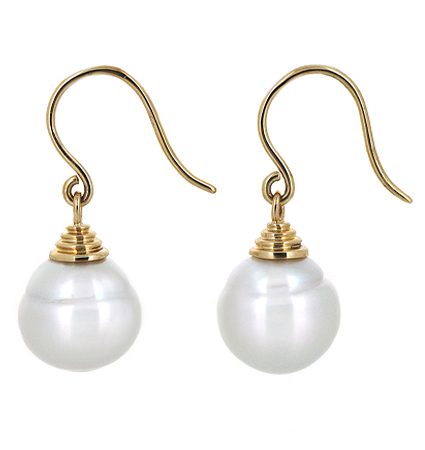 The pearls are circle in shape and 12mm in diameter, with excellent skin and brilliant lustre. 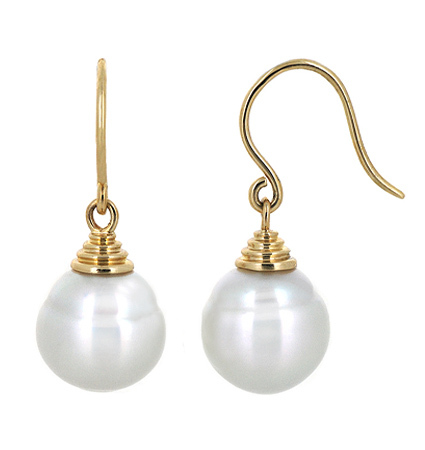 The earrings are a drop shepherd hook style with articulated decorative cups.